Is it wrong that the main reason I’m excited to get a PS4 is so I can play Octodad: Dadliest catch? Forget The Order. forget Killzone: Shadow Fall. All this new technology, stronger, faster processor, but somehow the thing that stands out most is Octodad. I’ve watched the trailer more times than I watched the trailer for the Lord of the Rings when that was new and I watched that like twice! If you were to ask me what the point of the game is, I would say, “Point? There is no point! You’re an Octopus married to a human woman with human kids and you’re dressed in a suit. Why in the name of Vishnu’s scrotum would I need the game to have some kind of further point?” And that really is the long and short of it. You’re a cephalopod, (an exclusively aquatic class of mollusk commonly with large heads and a series of tentacles, ie. octopus) trying to blend in with the human world without having your secret discovered. You’ll bumble around your day, attempting to do routinely mundane tasks with your floppy octopus arms and legs without trying to raise too much suspicion. This was originally a college project, which is available for free to download HERE. 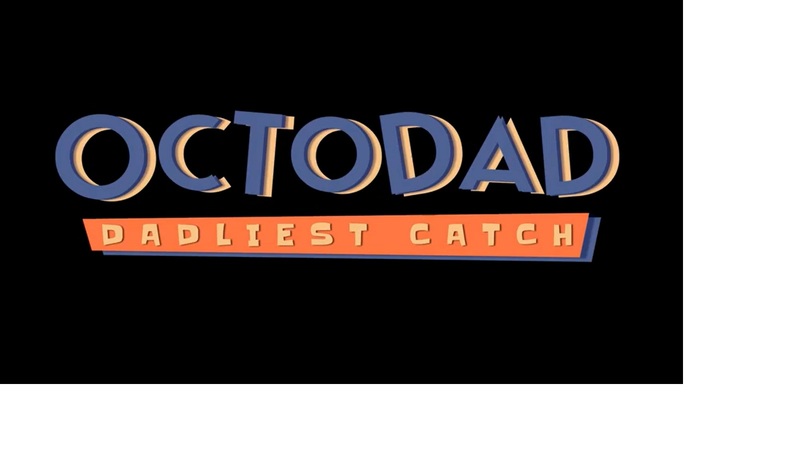 However, Octodad: Dadliest Catch won’t be available until sometime in early 2014. You can check out the trailer below. I love the theme song. Posted on September 28, 2013, in Indie Games and tagged dadliest catch, indie, octodad, ps4, sony, young horses. Bookmark the permalink. 2 Comments. This is definitely a selling point for me. I managed to get my hands on a demo, and after only a few minutes found it hard to put the controller down. Equally difficult was fighting the urge to make Octodad touch and pick up EVERY SINGLE ITEM I COULD!! The physics are strange, the controls take quite a bit of time to get used to, but I can guarantee anyone looking for something a step away from the norm needs to look at this title. Horribly addicting. I believe what you typed made a lot of sense. however suppose you added a headline to maybe grab people’s attention?